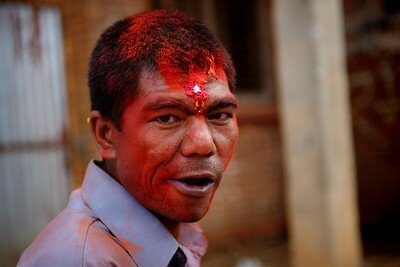 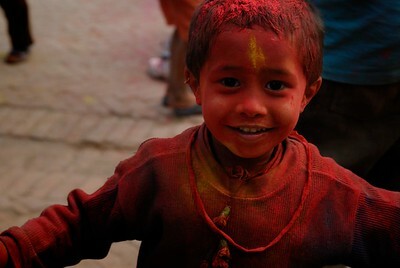 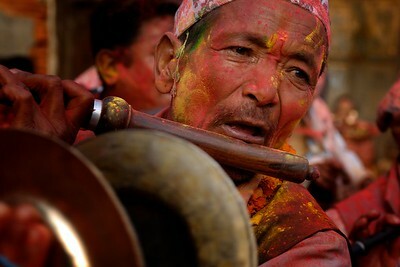 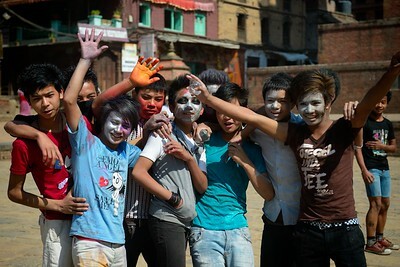 Despite its religious origin, Holi festival is a day a pure secular enjoyment. 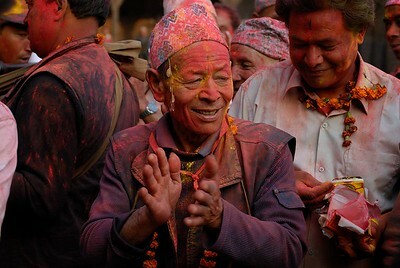 It is believed that the combination of different colours at this festival take all the sorrow away and make life itself more colorful. 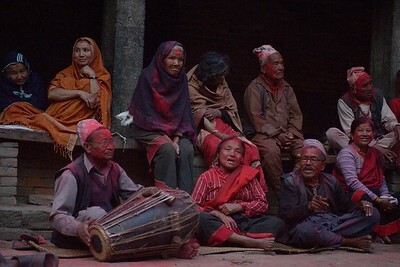 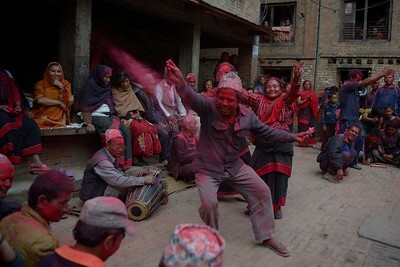 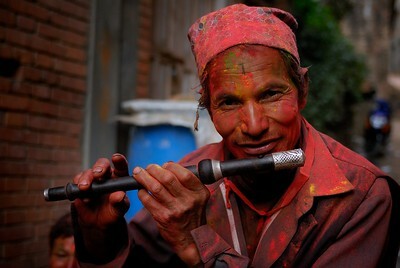 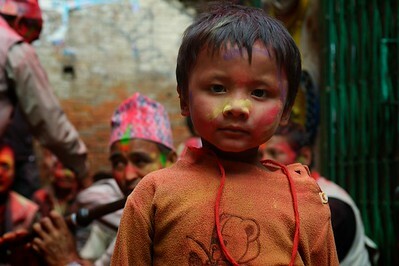 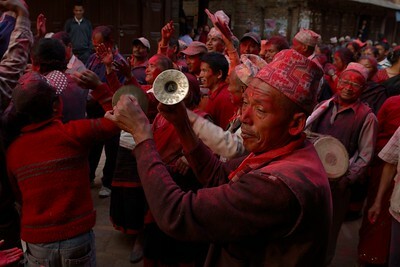 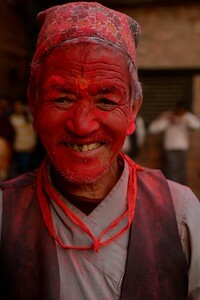 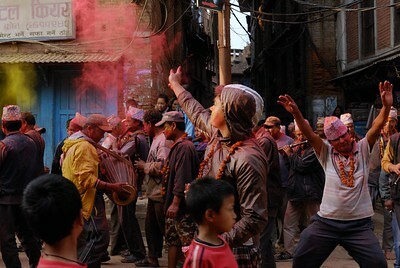 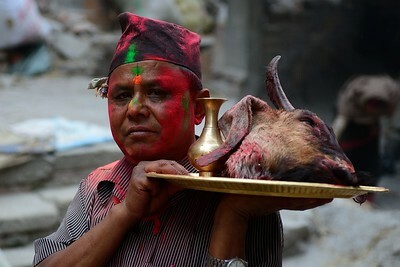 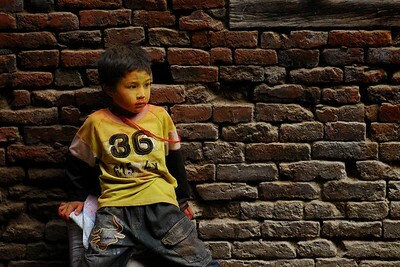 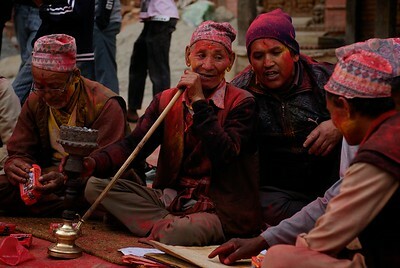 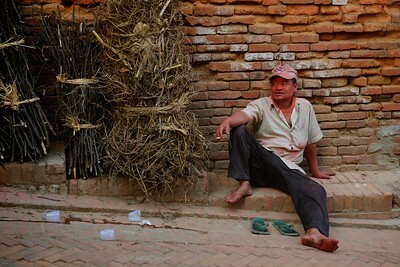 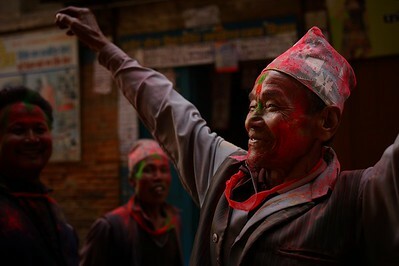 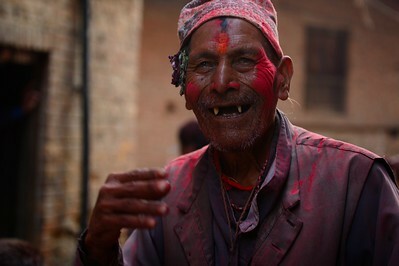 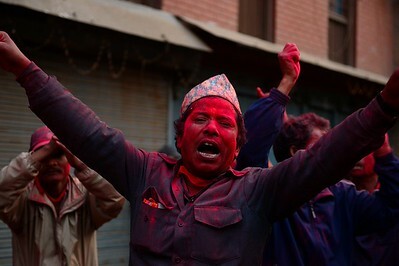 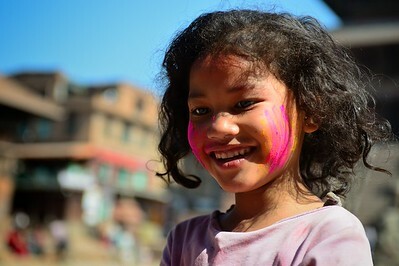 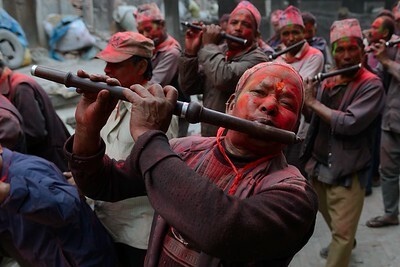 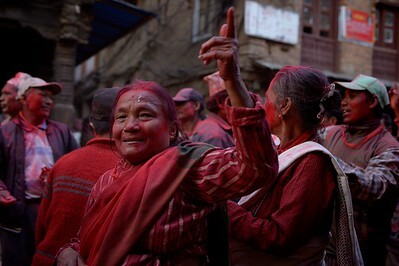 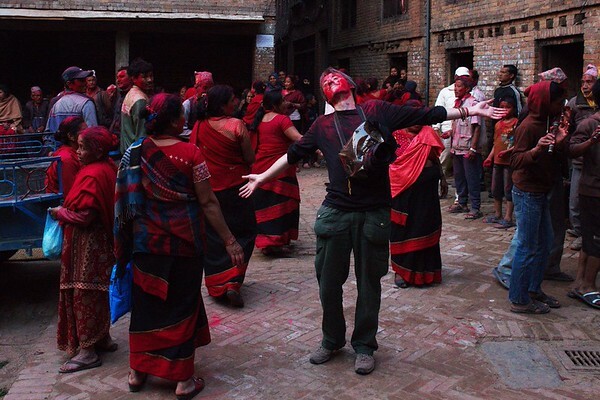 On this day, Bhaktapur’s streets fills with groups rambling around the city playing music, dancing and, above everything, splashing colors on friends, relatives and whoever passes by. 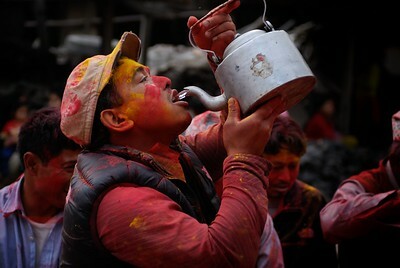 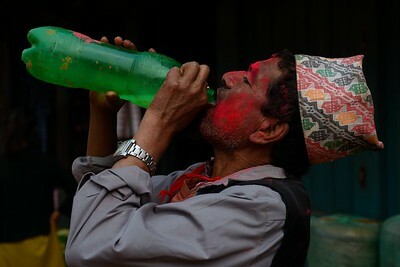 The neighborhoods they will visit will welcome them throwing colors and water and offering drinks (mostly Rakshi, a traditional distilled alcoholic beverage made from kodo millet or rice, clear and strong as vodka). 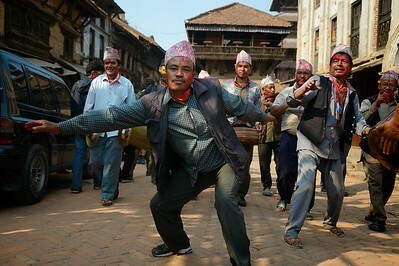 By the end of the day, many adults can barely stand… it is much easier to dance! 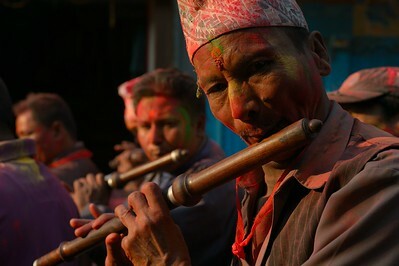 The joy of this popular festival is also a joy for photography: the colors on people faces bestow something unique on portraits. 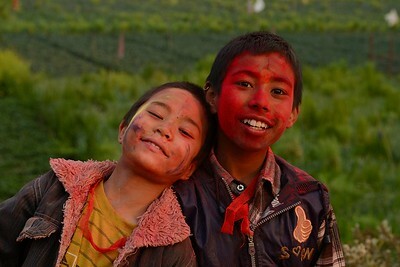 It is impossible not to be involved, and if one wants to witness it, he must be ready to be part of it: a good camera cover or just a simple plastic bag will grant your camera enough protection to give you some peace of mind. 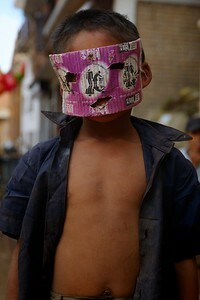 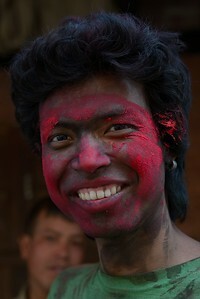 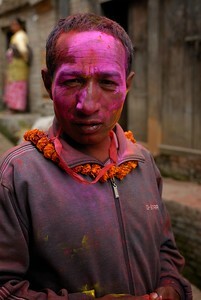 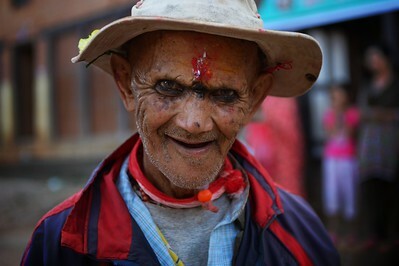 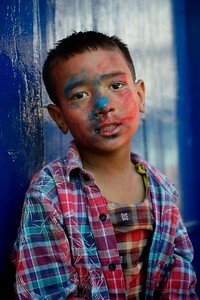 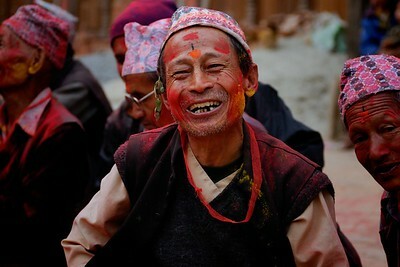 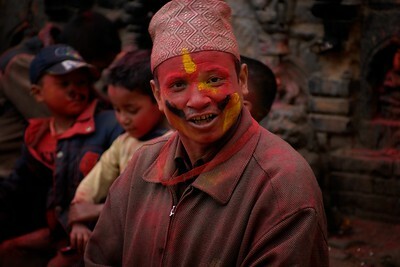 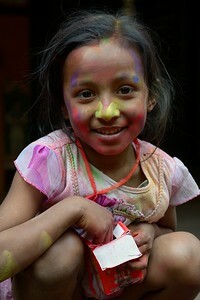 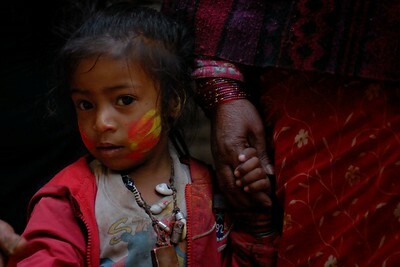 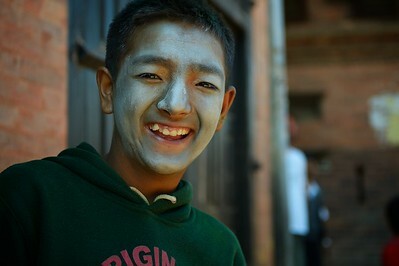 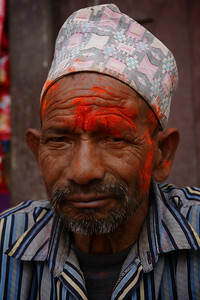 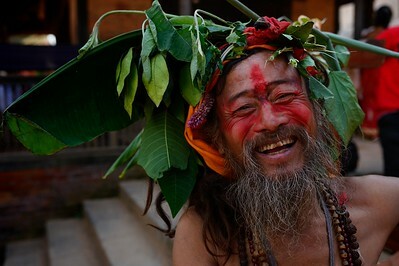 No need of anything more, just be ready to have your face painted and to have some drinks together with locals. 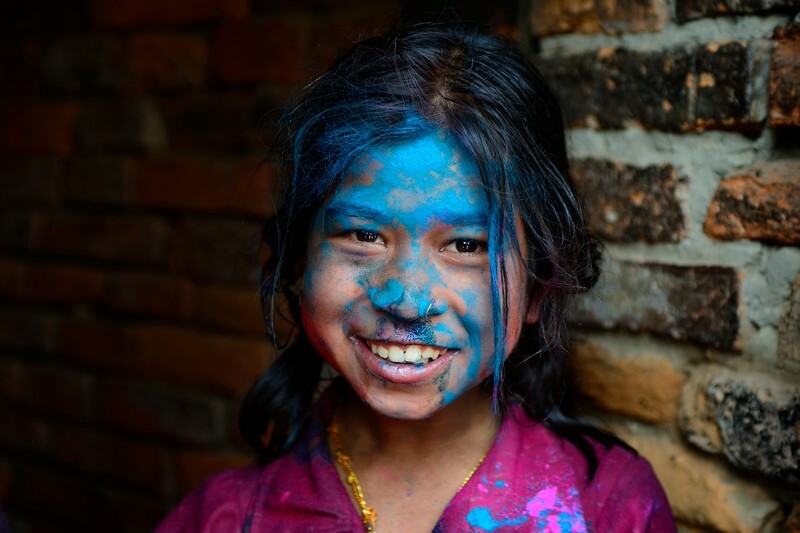 It was a day of pure human fun and photographic joy: my friend Nikola Kostic reported well my happiness at the end of the day in this photo.